2018 has been a great year for fashion. We saw a resurgence of ’90s trends (bum bags, flared pants, chokers, band T-shirts), and also stood witness to the birth of new trends (micro bags, head-to-toe animal prints, micro mini sunglasses, neon clothing) that earned instant approval from the fashion fraternity. Such is the fleeting nature of a trend in fashion that as soon as its popularity peeks, the slightest presence of an overdone item instantly puts you off it. As we step into 2019, Vogue recapitulates the trends from 2018 that we do not want to carry forward to the new year. 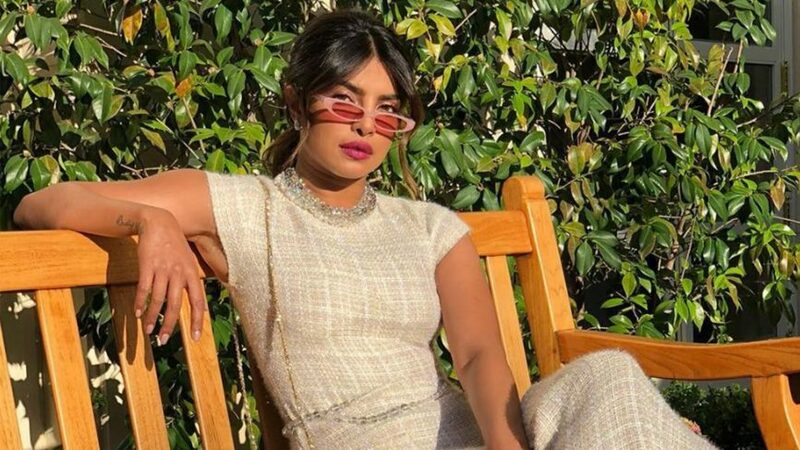 This trend has found patrons in A-listers all over the globe, from Priyanka Chopra Jonas to Kendall Jenner—but we’re not convinced. Sure, they will guarantee a statement addition to your outfit, but not every look warrants an exaggerated accessory. These can go straight back to the ’90s where they came from. Thank you, next! At first, it was Chanel’s see-through collection of PVC boots, jackets, hats, gloves and more that created an uproar; then it was Calvin Klein 205W39NYC’s clear coat, Celine’s plastic shopping bag, the Off-White x Jimmy Choo plastic pumps and even the Off-White x Rimowa transparent suitcase that caught everyone’s attention. Yes, it’s true that the fashion industry needs to herald in transparency, but this trend took it too literally. Also, who needs more plastic in the world than there is already? You know that feeling when you’ve eaten way more of the same item than you should’ve? It’s the same feeling we get when we spot this trend. It only takes one look around the clothing racks at most major shopping centres to notice the (excessive!) number of tops and dresses featuring the familiar cut-outs—resulting in the kind of monotony that appeases nobody. Considering it’s the start of a new year, can we all just agree to give the trend a cold shoulder and leave it in the past, where it deserves to be? The sock boot trend came to life when athleisure met sophistication to create a shoe option for evening wear that was equal parts sporty and elegant. Think Balenciaga’s knife booties and Vetements’ sock boots, which carved a niche of their own. What was once an alternative style that wasn’t entirely loved but not quite hated on, is now omnipresent. We are definitely over these. Throughout 2018, we have championed ugly footwear-pool slides, dad sneakers, grandmom sneakers—the works. However, pool flats and bedroom shoes had a hybrid child that was more cutesy than necessary and gave us flashbacks of that fluffy rug a college roommate insisted on. While the slip-on style promises to be easy to wear, we can collectively agree it doesn’t need the fuzz.